Details Double-bill UK comedy genre quad film poster from 1980 released by 20th Century Fox. "Silver Streak" had premiered for the Royal Film Performance in 1977 and Richard Prior was still going strong three years later. 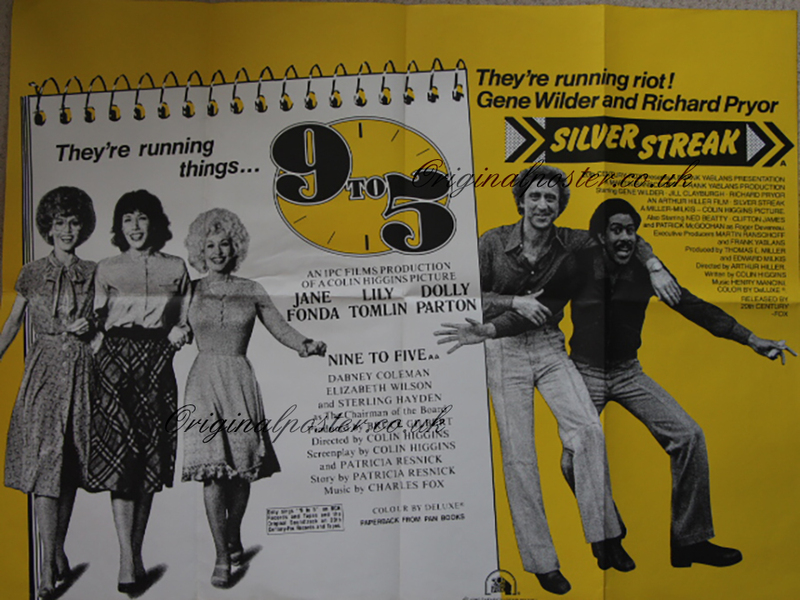 Dolly Parton had a big hit with the record "9 to 5" advertised on RCA records on the film poster.